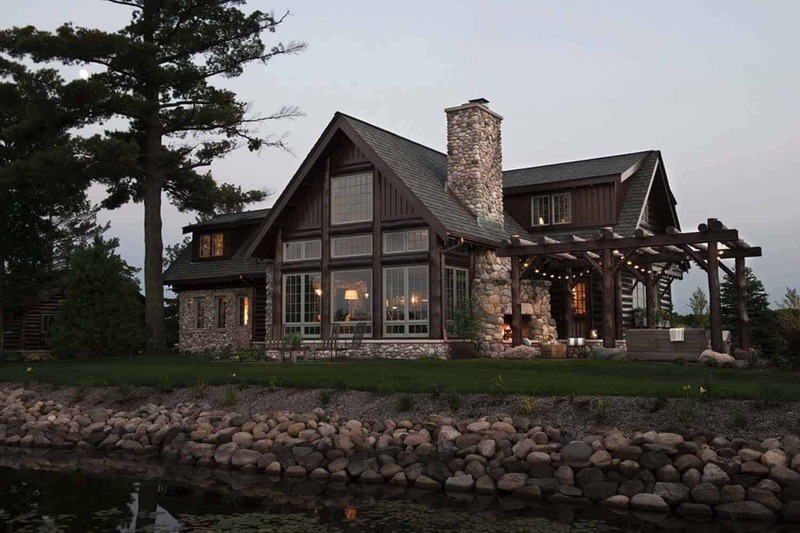 Nestled on its own private peninsula, this rustic lakeside cabin mixes past and present to create a timeless retreat designed by Rehkamp Larson Architects and designer Alecia Stevens, located on Echo Point in Tower, Minnesota. 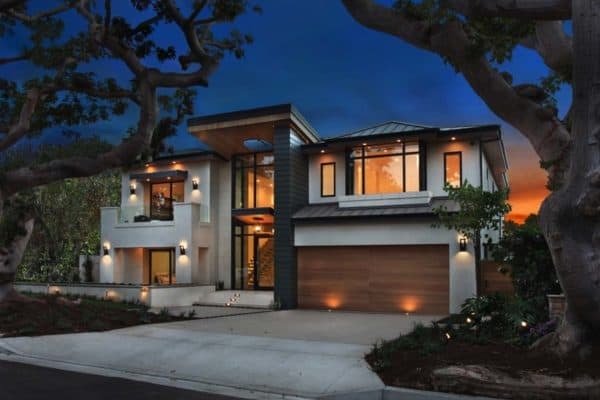 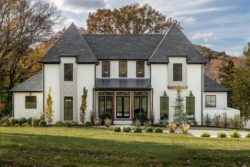 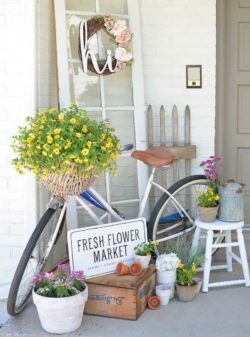 The homeowner’s commissioned the design team to work on a new home after the unfortunate loss of their old home due to a fire. 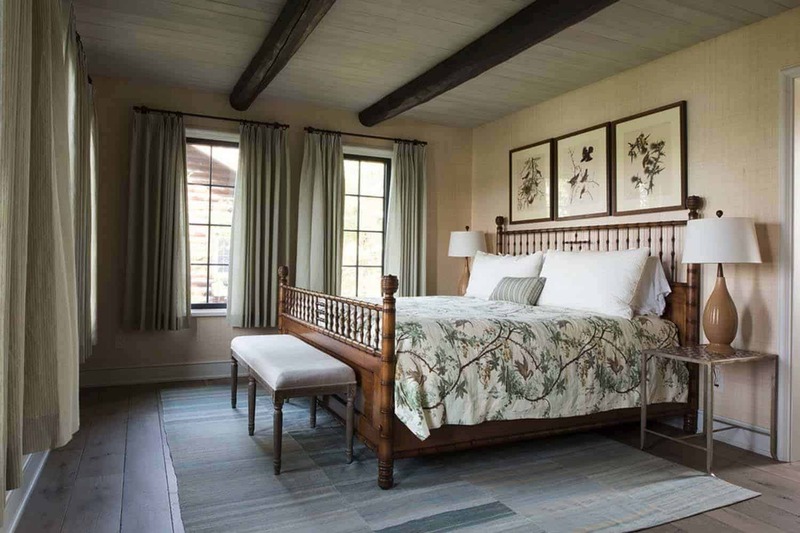 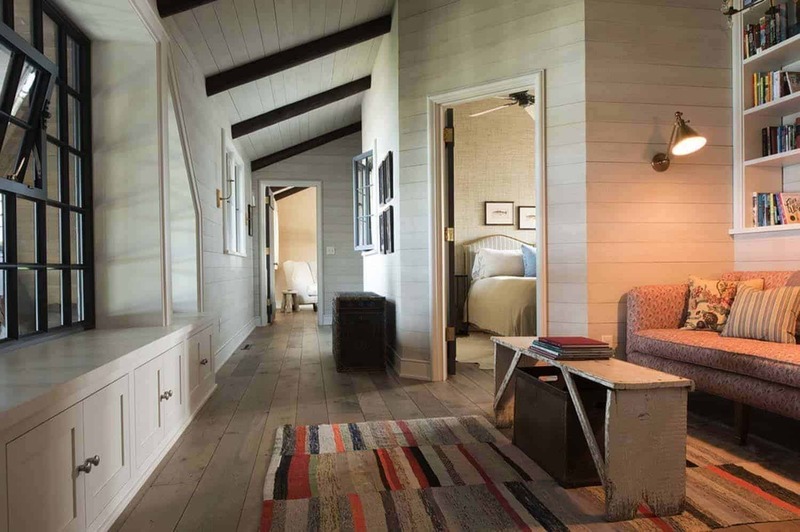 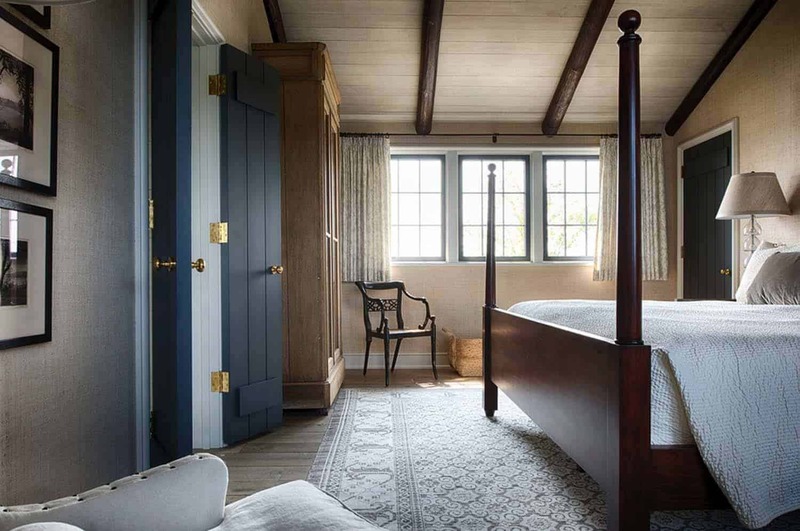 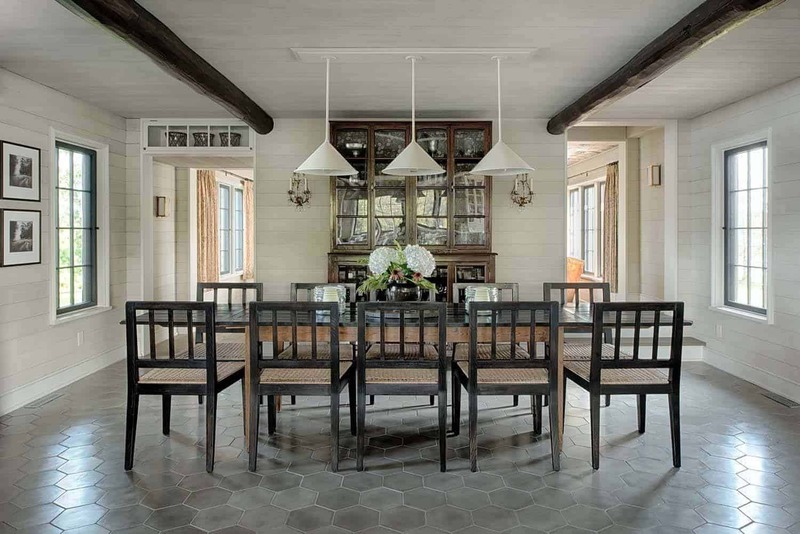 They requested that the new construction reflect the property’s origins as an historic Bay Lake landmark, while at the same time drawing on a new vision for a beloved lakefront home. 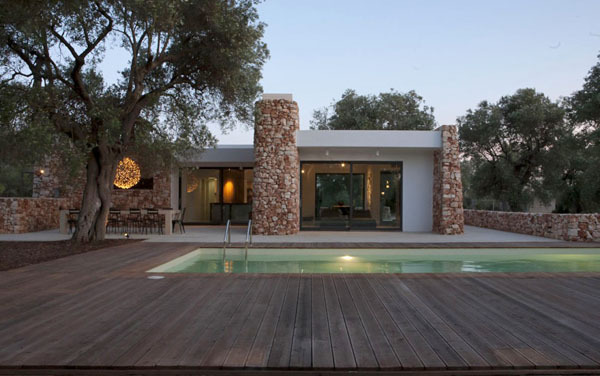 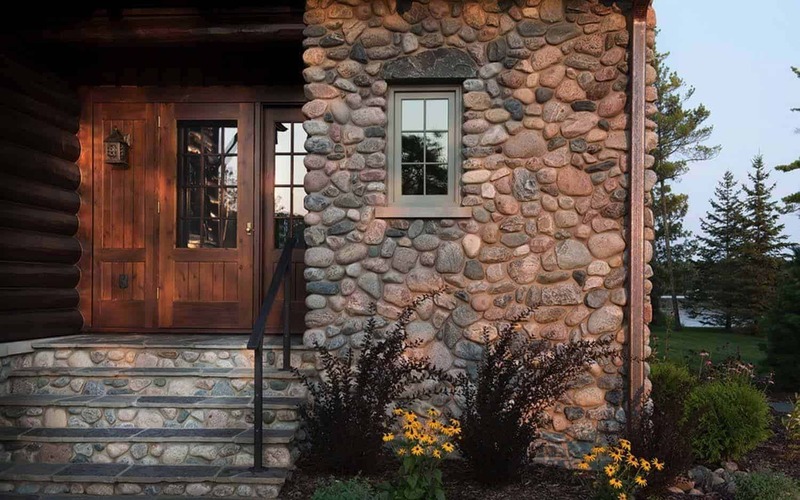 The new home blends in well with the surrounding landscape, with stone walls and timber siding and support beams. 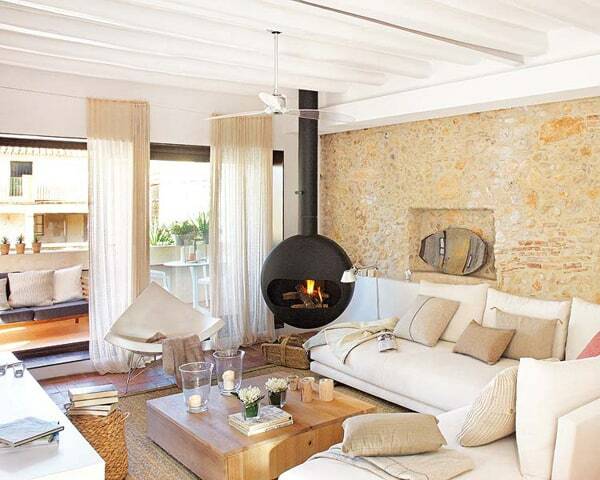 A reflection of tranquility has been brought into the interiors through natural light and picture perfect views. 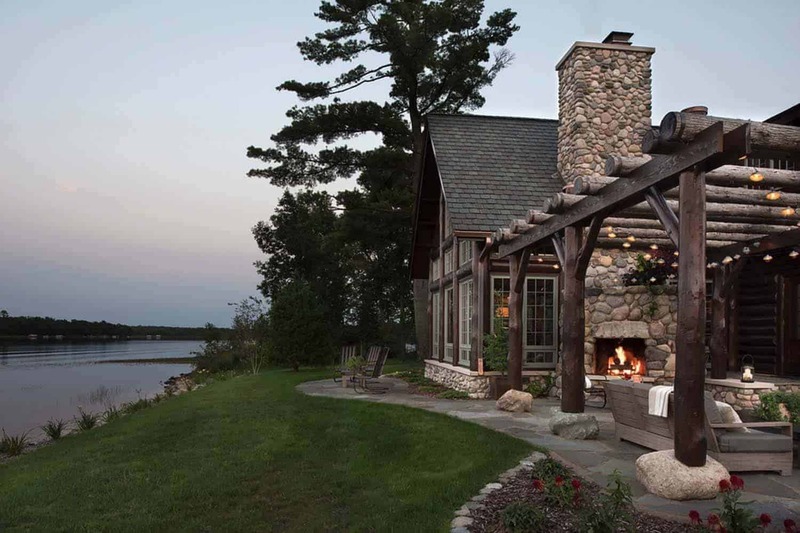 Stone clad fireplaces on both the exterior and interior are main focal point, creating a cozy atmosphere for this cabin on the lake. 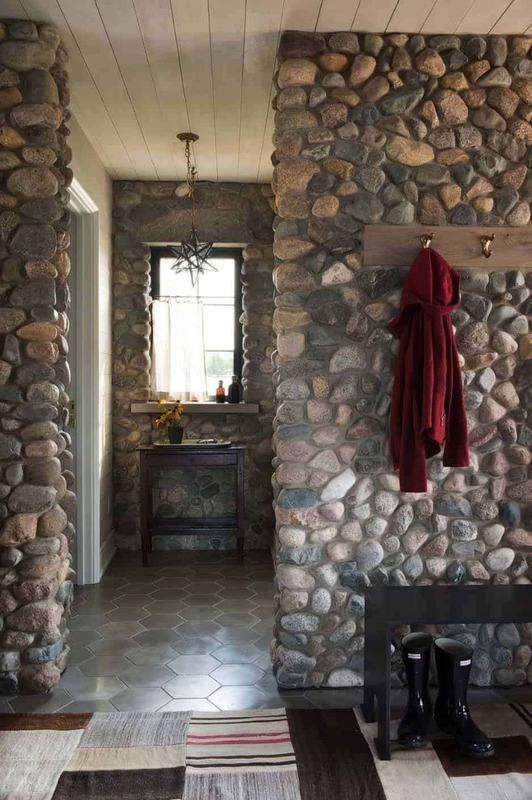 The design team hand selected the materials that were used to craft this structure, creating a timeless quality that will remain pristine for future generations to come. 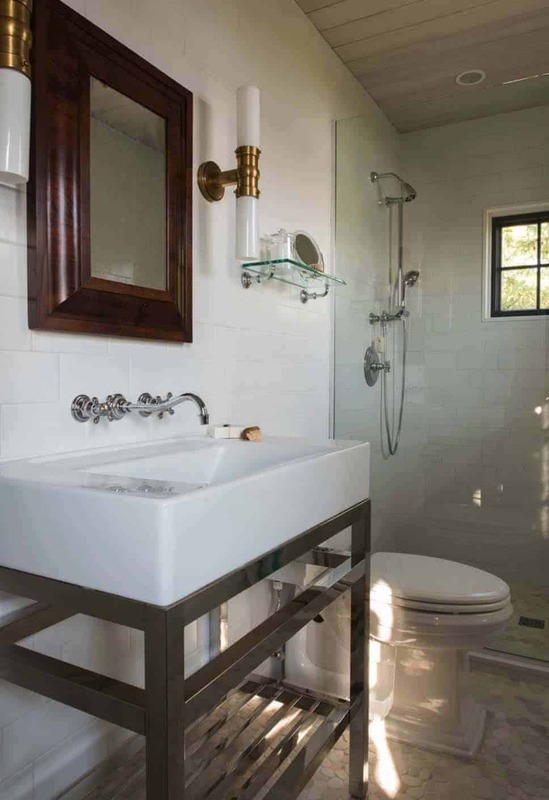 The property also features a guest house, perfect for entertaining guests while still allowing privacy for the homeowners. 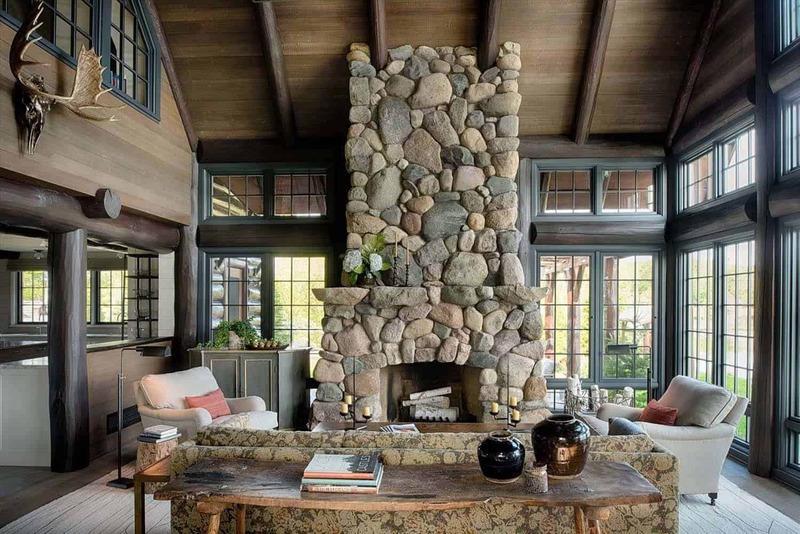 A cozy living room features a floor-to-ceiling masonry fireplace, a center point to the space that creates a comfortable atmosphere… perfect for a lake home! 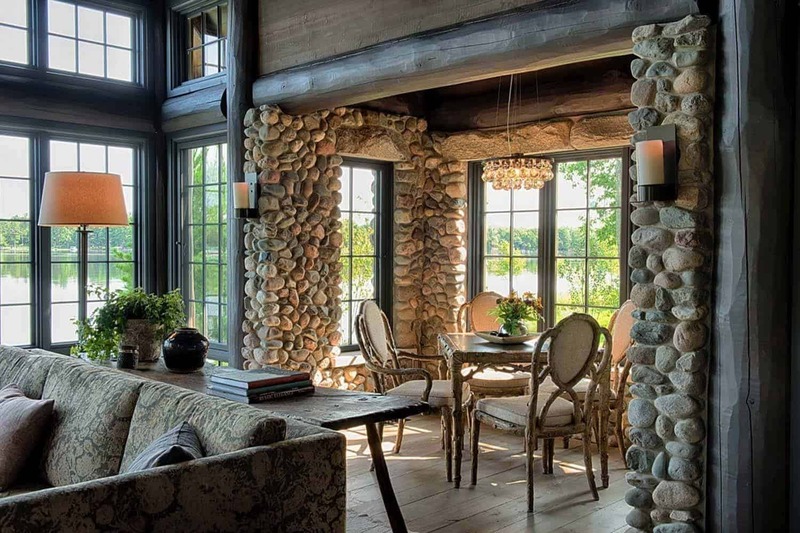 Expansive windows captures the light and views of both the lake and the woods, very ideal for a cabin retreat, don’t you think? 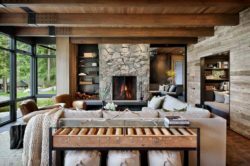 The living room is characterized by soaring ceilings and tall windows that beautifully frames the view of its pristine lakeside location. 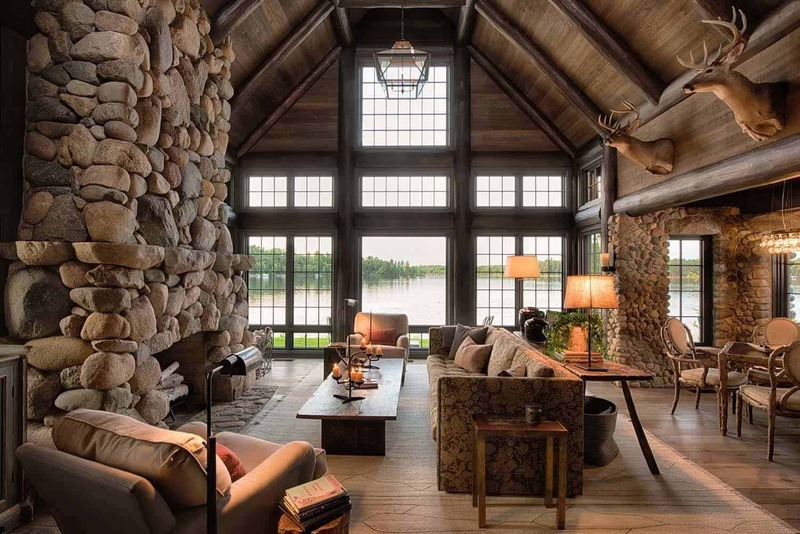 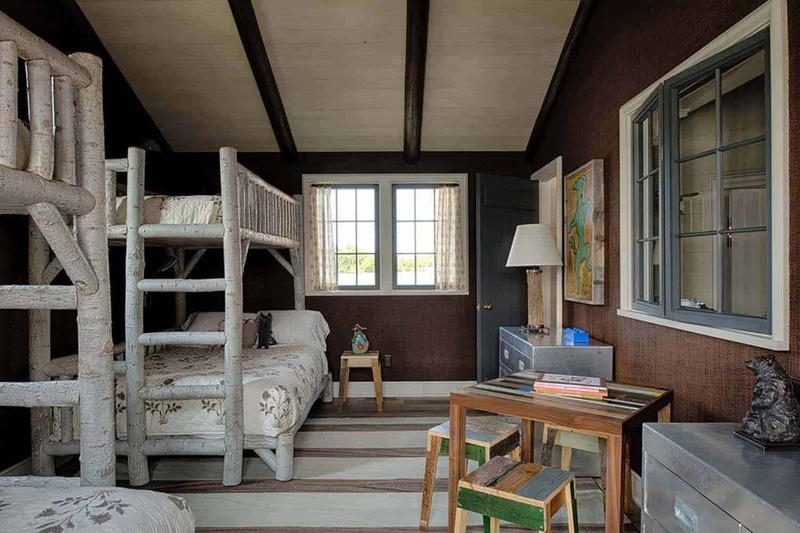 Deer heads mounted on the wall adds to the rusticity of the cabin. 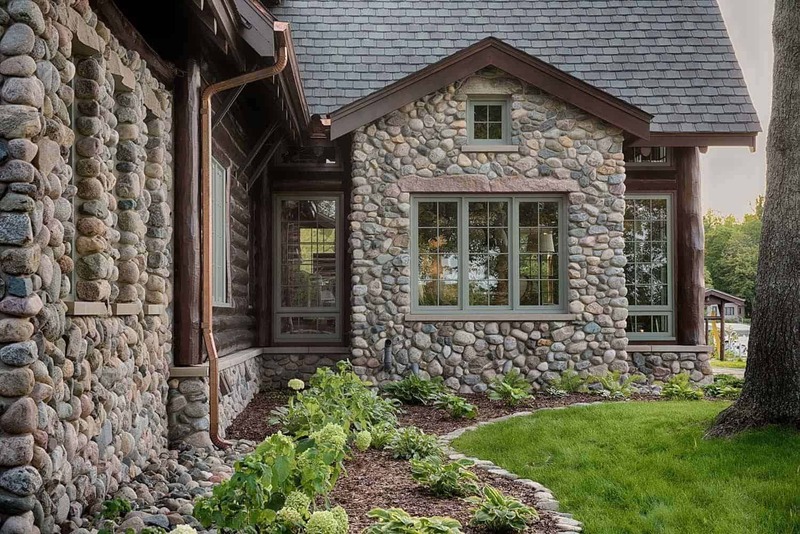 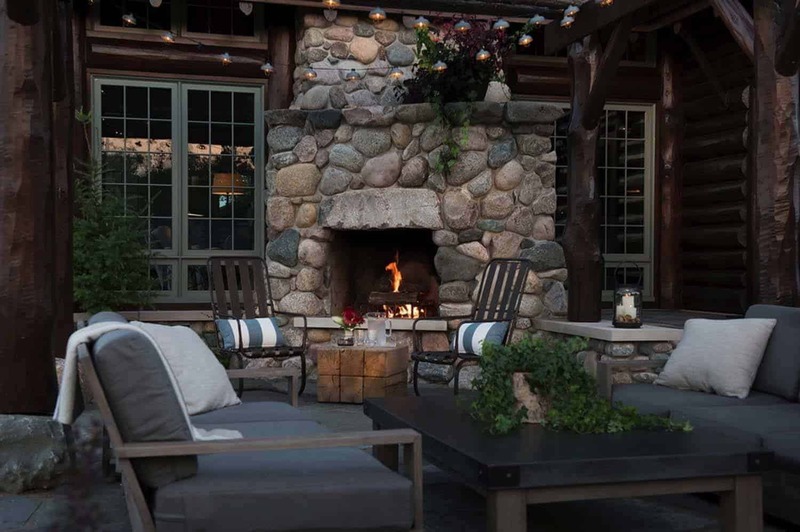 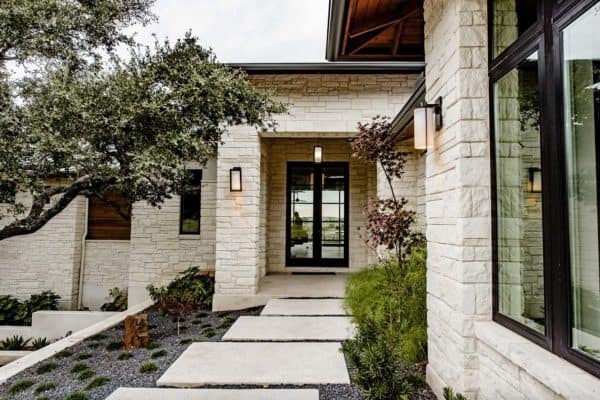 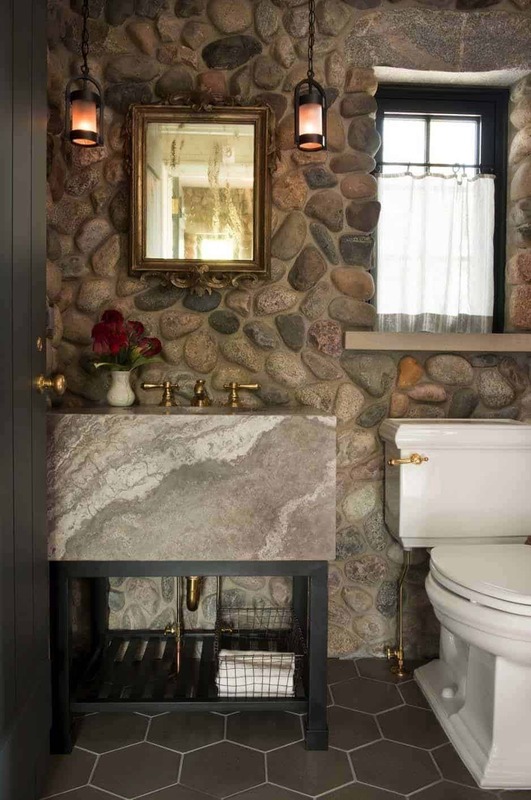 What We Love: The stone walls in both the exterior and interior as well as the fireplaces is simply stunning, it really adds to the beauty of the architecture in this home. 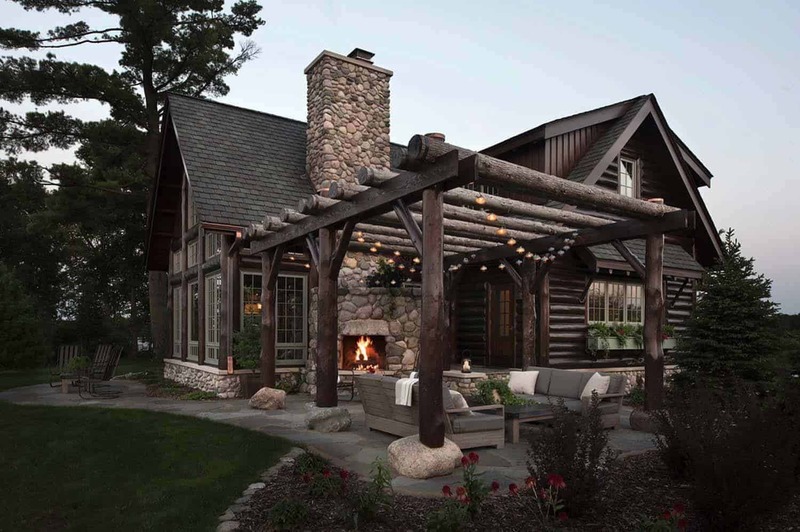 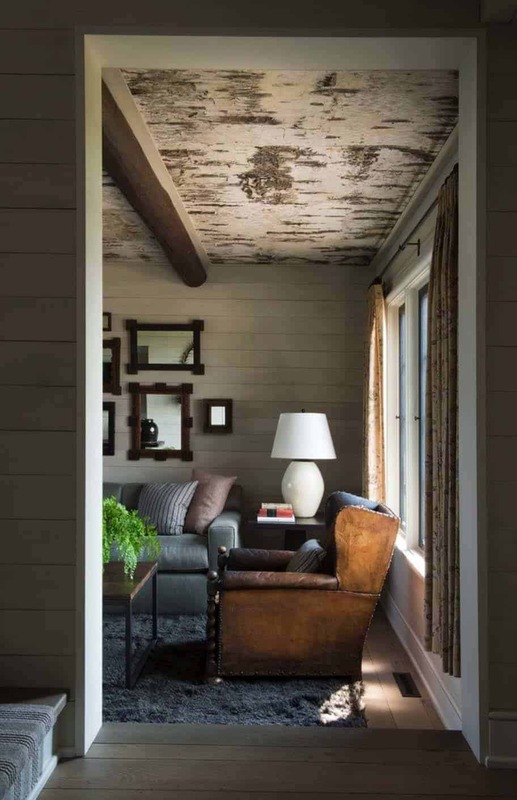 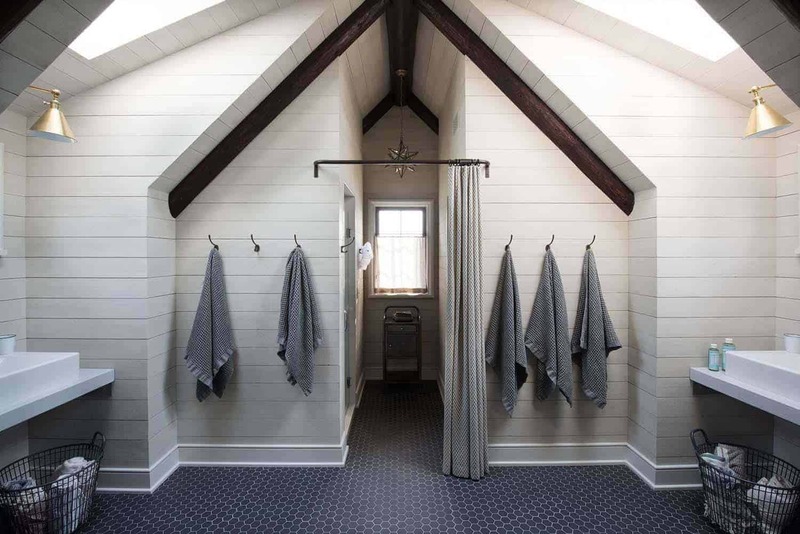 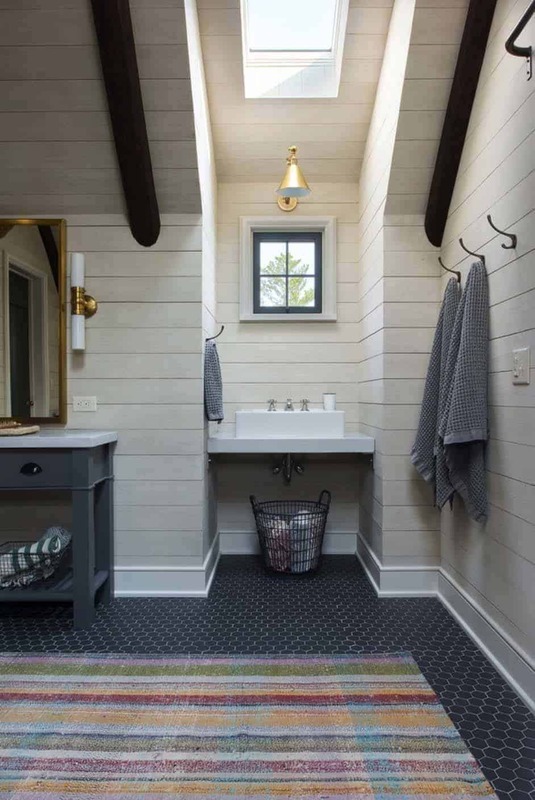 Although this is a more luxurious cabin, the materials used in the home gives it a rustic quality that is very relaxing and inviting. 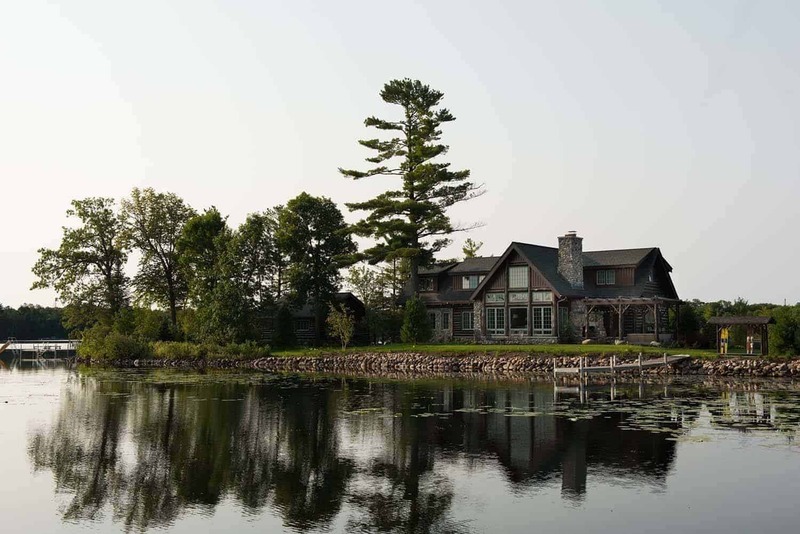 The views to the lake are spectacular, we could definately imagine vacationing here and thoroughly enjoying it… how about you? 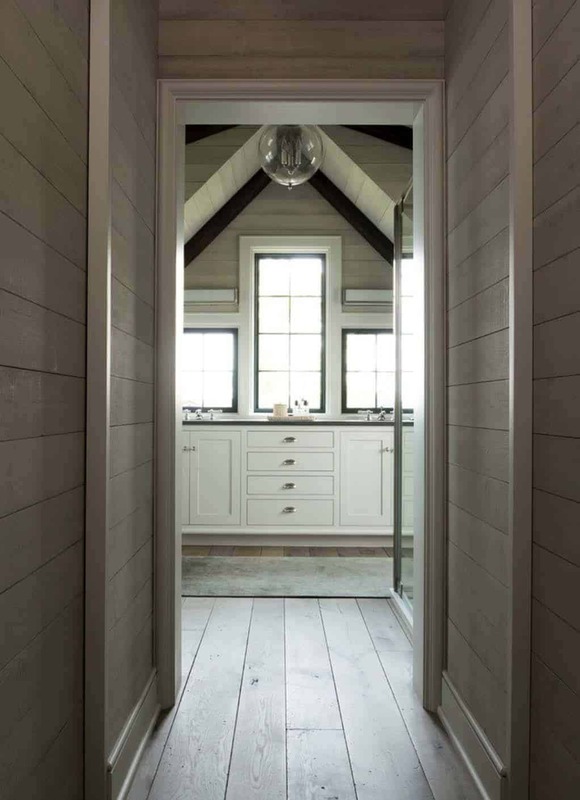 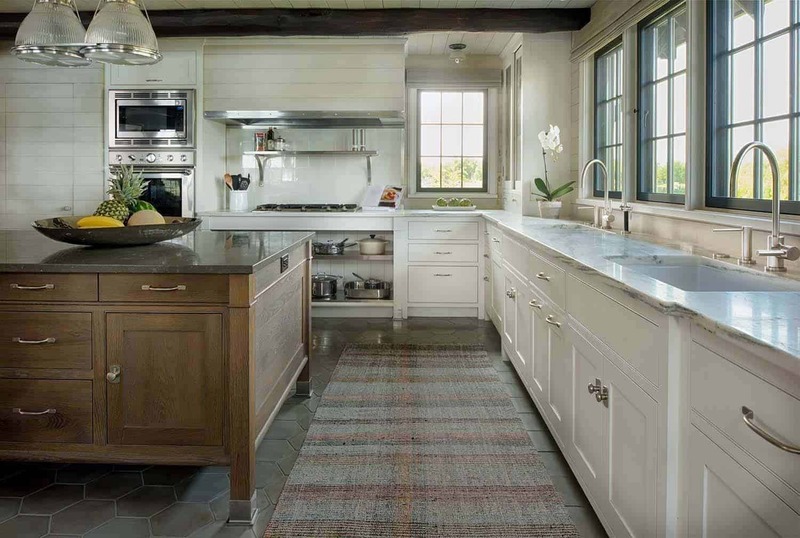 Note: Have a look at a couple of other inspiring home tour’s that we have featured here on One Kindesign from the architects of this project, Rehkamp Larson Architects: Breathtaking modern farmhouse nestled on a prairie setting in Minnesota and Exhilarating home captures essence of family living on Lake Minnetonka.